Robert crows, a friend of mine, was at The Oval four weeks ago when Alistair Cook scored that memorable century on his last test match appearance for England. “I was there”, Robert, all too frequently. “It’s something to tell the grandchildren, isn’t it?” he adds. My hunch is that his grandchildren will grow even wearier of his tedious eyewitness account than his family and friends already have. Unavoidably, we are not often there when extraordinary sporting feats occur, and the most we can realistically hope for is to be watching live on TV when it and whenever it happens. Well, I came about as close as I ever have to witnessing an outstanding sporting moment at mast month’s Portugal Masters. Arriving at Vilamoura two days before the tournament got underway, I checked into the fabulous Anantara Resort, which is bang next door to the Victoria course on which the Portugal Masters is arranged. My magnificent suite directly overlooked the course, and I briefly entertained the outrageous thought that I might even be able to cover the event without ever leaving my hotel room! As well as the appalling lack of professionalism that such behavior would have displayed, there were icountless attractions to lure me out, not least of which was the hotel’s five fabulous swimming pools, splendid spa and several exceptional restaurants; not to mention fun-filled Vilamoura, which was less than five minutes away. Ahead of the tournament, there was the Wednesday Pro-Am to negotiate For us hackers, such an event is fun, but full of surprises. The gentle format – a Texas scramble variant whereby you take the best drive, everybody plays their own ball from there and only birdies and better count – did much to ease the pressure. However, it effectively rendered every one of my non par-three tee shots totally redundant. 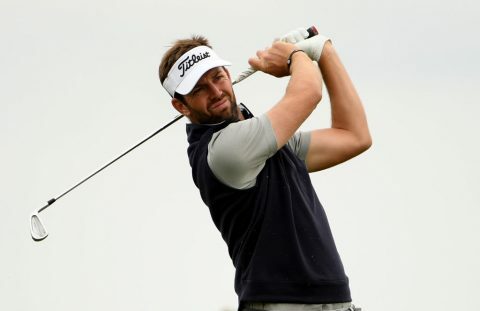 Winner of the 2012 Nelson Mandela Championship (Glaswegian Scott Jamieson) was our affable Pro to our Am. He drove the ball miles, and on the rare occasions that he missed the fairway, our team boasted a German club pro who also munched the ball out of sight, while the only other genuine amateur in our team, besides me, was a single-figure UK scribe for whom length was no trouble. One of the most ineffectual activities I have ever performed in the 70 years I have been on this earth was teeing off last on the par fours and fives in the certain knowledge that my career-best drive would struggle to get within 100 yards of the worst of my playing partners’ efforts. Less you form the mistaken impression that I’m being mild, I should add that no fewer than two of my tee shots on the par threes were used. And in case you still need convincing that I’m not being too self-effacing, I should add that I holed one of the putts for a birdie. By the way, that’s not the outstanding sporting moment referred to above; that’s still to come. Despite my lofty efforts, my team were just edged out of first place by the super-slim margin of 24 shots. The winners, remarkably, came in at 46 under par, which any statistician will tell you is better than two-and-a-half birdies per hole. Extraordinary stuff, if in question. Scrupulous almost to a fault, and loyal to my new hero, Mr Jamieson, I kept tabs on him and followed the tourney throughout Thursday about as diligently as one would expect of a seasoned journalist. 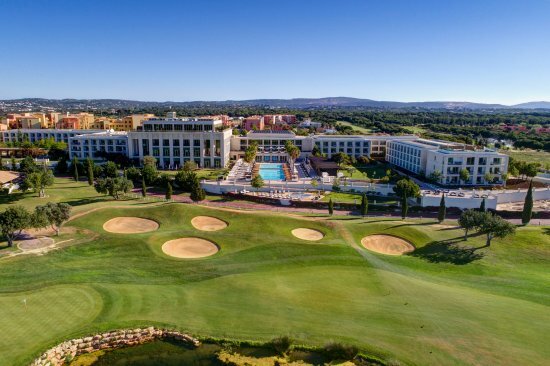 Quinta do Lago (South) is a great course and both I, and my nameless associate, enjoyed ourselves tremendously right up to the moment when we swept back into the hotel and sensed a certain turmoil in the air. It immediately became evident that something significant had happened whilst we were away. Although even the ten birdies and one eagle that Oliver Fisher had just recorded in his second round wouldn’t have been enough to lift my pro-am team into first place, it was enough to enable him to record the first ever 59 on the European Tour. More than 680,000 rounds have been played on the European Tour since it was founded in 1972, and this was the first to break the magical sub-60 roadblock. Even more remarkable, I was very nearly there. 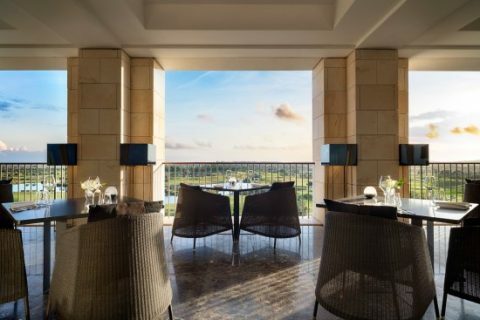 At Anantara Vilamoura Resort,Clive Agran was a guest where a seven-night stay for two in a deluxe garden view twin room in December and January, including breakfast and five rounds of golf (Victoria, Pinhal, Old Course, Millennium, Laguna) with transfers to the courses, costs from €1,940. For more details, visit www.vilamoura.anantara.com.